It’s easy for businesses to argue that fun morale boosters for your employees are not critical for your company. However, when funds are tight and workloads are heavy morale tends to be low. When your team is motivated and morale is higher, you are more likely to have less turnover, higher productivity rates and overall better culture throughout the office. Boosting morale doesn’t always have to be expensive sales incentives and parties - here are 10 different ways you can motivate without breaking the bank. There is nothing cheaper than just simply showing gratitude to your employees. Letting your team know that you appreciate their hard work can be one of the most successful ways to lift spirits. Almost 100% of the time people just want to be told that they are doing a good job and that you, as a boss, appreciate and acknowledge that. If you find that doing this individually is awkward, try making an all-team meeting out of it. Get everyone together at the end of the week for a fun meeting where you and your colleagues can express your gratitude. Things as simple as saying “Thanks for forwarding my phone while I was sick,” in front of everyone gives your team the opportunity to show appreciation and acknowledge each other’s accomplishments. So many teams and managers have a distant relationship with failure; but it’s important to acknowledge that failure is a part of every workplace and day to day life in the office. Perhaps you gave the wrong date to a client for a deadline, maybe you sent the wrong link live to a website, rendering it useless – regardless, these are all minor things that can a) be fixed and b) provide a learning experience. Your team is less likely to make these mistakes again by acknowledging that everyone slips-up sometimes. Volunteering is free and a great way to get the whole team together. A lot of companies today actually offer and promote employee programs to get their teams out and volunteering together. This might include being excused from work for the day to go to a soup kitchen or plant flowers at a local park. 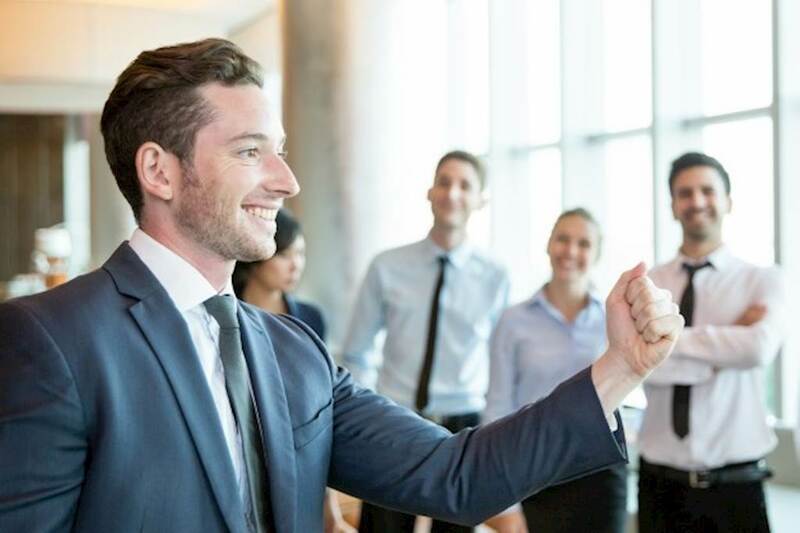 Not only is this a great way to boost morale by giving back - it gives your employees an opportunity to better create a connection and collaborate together. There are some teams who meet for happy hour every month or every week and then there are some teams who only gather together in a social fashion once per year. Get the budget to buy the first round and some snacks on the company and then let everyone pick up their own tabs. Not only is this inexpensive when compared to other events, it gives people something to look forward to during the week and an excuse to socialize outside of work. Like Jim from The Office we can all roll our eyes at a workplace Halloween or Christmas party. We can also guarantee there is always going to be the one “cool kid” who doesn’t want to participate. However, there is something to be said for getting everyone to dress up or participate in something silly like Halloween or April Fool’s Day. It’s pretty-much a free way to get everyone engaged together and acting a little weirder than normal. 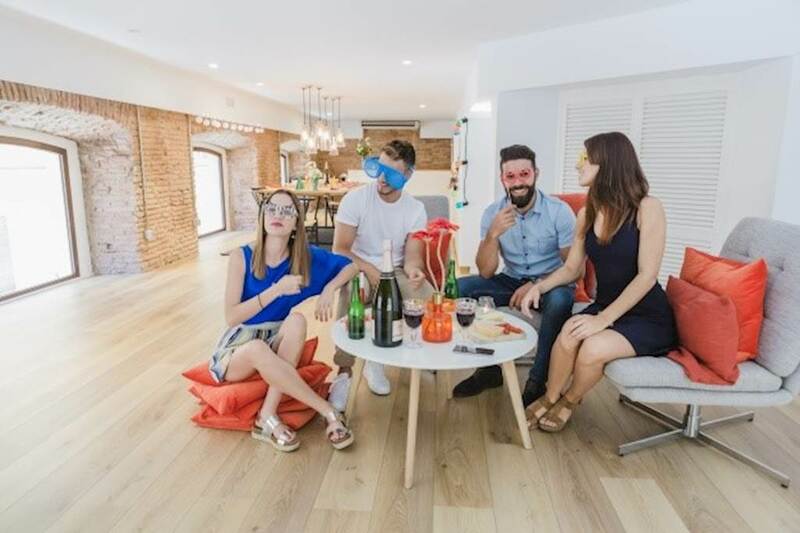 Embrace the weird and let you team go all out for holidays - it’s a great way for people to blow off steam and get to know one another better. 6. Walk at lunch anyone? If your office space and workday allows it - maybe get your team to start walking at lunch a few times a week. Getting out of the office and moving not only promotes a healthy lifestyle but it gives employees an opportunity to refresh their minds and socialize about things other than work. Make it even more interesting by creating a competition to see who can get the most steps in each week. People love a good water bottle, phone “popsocket” or book bag. Wholesale items featuring your company logo are cheap, easy and a great way to reward your employees in a little way. Treat your team to swag when they hit their numbers early or complete a big project. Bring in some fresh flowers or plants every week. Adding some life into the office will bring a brighter atmosphere and perspective to your team. Even better, something like a long term tree or plant gives your team something to focus on and take care of - even if it is just watering it a few times a week. Maybe you can’t afford to give one of your long-time team members the raise they deserve and after a long time at the company you fear they are becoming less motivated. While you might not necessarily be able to get them the funds there are other ways to give them more. Offer some work from home days or, if your company allows, add a vacation day or two to their package. Provide some healthy snack options in the office. Fruit, nuts, and things like granola aren’t insanely expensive when bought at wholesale prices. Keeping a few things for your employees to munch on that are healthy boosts their morale and health and comes at little cost to you. Author: My name is Erica Caramol and I am the Director of Operations at Ezzely, an intuitive mobile application with a set of proprietary team collaboration tools designed to be an engaging way for organizations and their employees to interact and succeed. Ezzely helps staff to train faster, communicate better and build consistency. I have worked with 1000`s of client in the US and around the world, all recognized leaders in their fields.